Prepare chicken tenders according to package directions. Combine peanut butter, brown sugar, garlic powder, water, soy sauce and vinegar in small bowl until well blended. 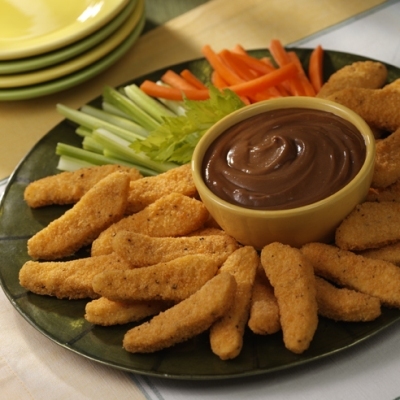 Serve peanut dip with chicken tenders.